Home > Malicious domains > Apple.com-repair.live scam in Mac computers – how to get rid of it? Apple.com-repair.live scary alerts have been seen to attack the wide range of browsers in Mac systems recently – such as Google Chrome, Mozilla Firefox and Safari. 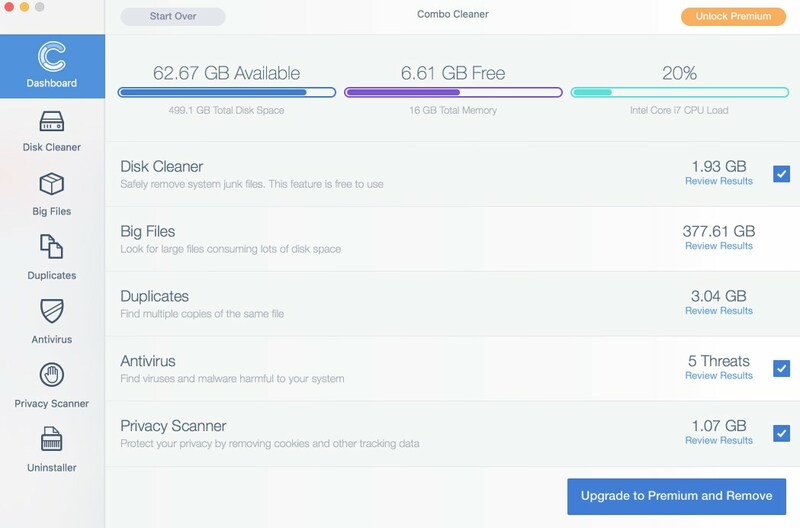 Apple.com-repair.live pop-ups attempt to convince you to download and install plenty of unwanted applications into your system, for example, fake system optimization utilities. In the light of this fact you should be very careful not to trust any deceitful information as mentioned by apple.com-repair.live alerts. What you must do is to locate the source of apple.com-repair.live pop-ups in your system. However, to do it manually might not be very easy undertaking. Sometimes the adware that spews out these massive alerts may be concealed deeply in the system. There are times when scanning the system with reliable anti-malware tool is the best solution. We believe that this is the good way to have your system professionally inspected. Quick links to help you navigate through apple.com-repair.live pop-up removal guide. Tips to prevent apple.com-repair.live pop-ups from entering your Mac. What happens with your browser when apple.com-repair.live pop-ups are enabled? Apple.com-repair.live pop-up windows may appear in all widely used Mac browsers these days, including Google Chrome, Safari and Mozilla Firefox. As we’ve said above, their purpose is to scare computer users into thinking that the Mac is in danger. However, the ultimate goal of these pop-ups is to make users waste their money for nothing. We have detected a trojan virus on your Mac. Press OK to begin the repair process. 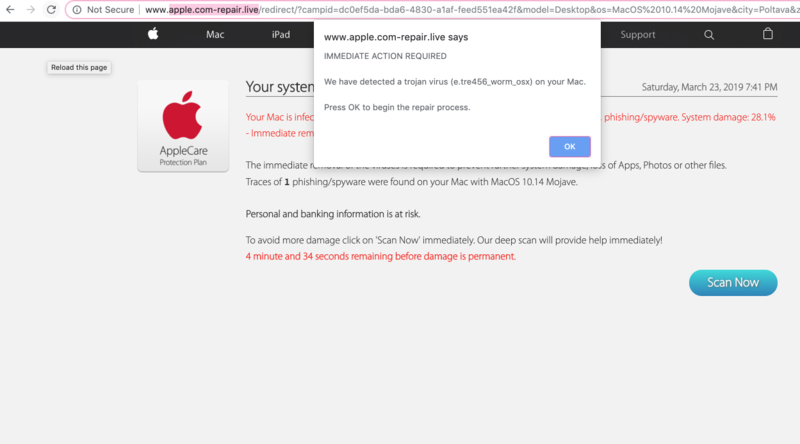 We strongly advise that you do not trust any of such deceitful information reported via apple.com-repair.live pop-ups. Do not call any toll-free helplines run by the crooks. These pop-ups simply have in mind to rip you off. So, we strongly advise that you follow this removal guide below to get your computer fixed as soon as possible. Make sure that you delete all the infections found by anti-malware tool below and that you reset your browsers using additional tips below. 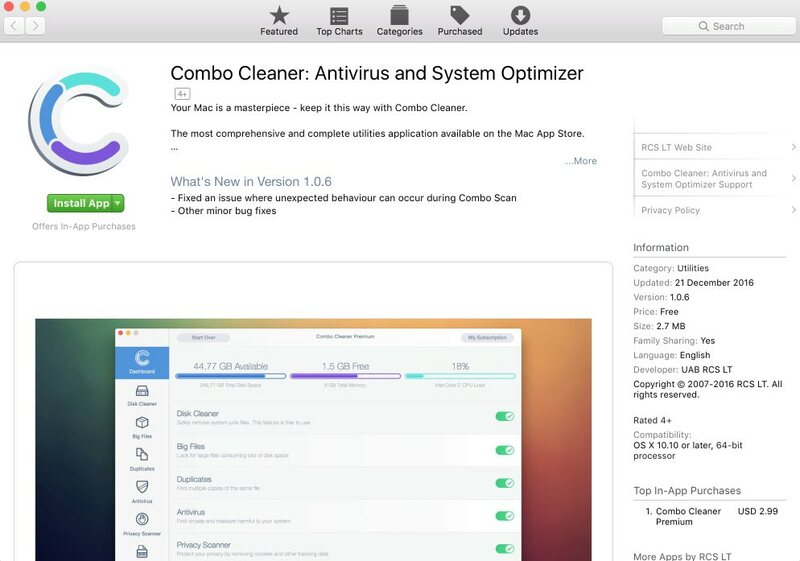 How to prevent your system from becoming reinfected again with apple.com-repair.live pop-ups, related adware and similar malware by applying Combo Cleaner for Mac? In today’s cyber realm, Internet is never a safe place. Millions of sneaky computer viruses, browser hijackers, adware, ransomware and other potentially unwanted programs attempt to infect your system. As a result, your Mac may become out of order and you will not be able to use it safely or at least comfortably. We recommend that you Download Combo Cleaner now to protect your workstation from subsequent malware intrusion attempts. Previous Previous post: Sitiparnetan.info unwanted pop-up removal instructions.